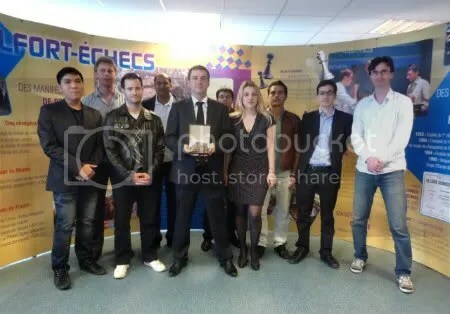 “CLICHY Échecs 92″, GM Wesley So’s team in the French Team Chess Championship, popularly known as the “French Top 12”, clinched the 2012 French club title, it’s 11th title in 33 editions, an extraordinary record of the competition, as described by echecs.asso.fr. 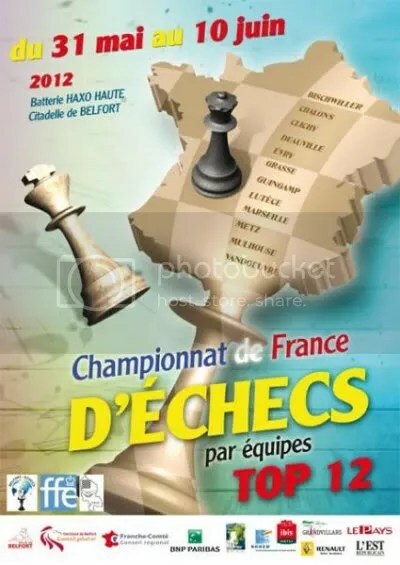 French Top 12, is the highest division of the France chess championship clubs, France’s strongest league and also one of the world’s strongest. 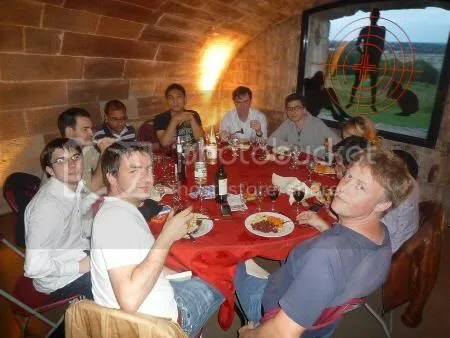 The 11 round-robin “Standard Chess” tourney held from May 31 to June 10 (initially at Belfort Citadel & finally in the comfortable premises of “Anatoly Karpov Chess Stadium,” Chess siege of Belfort) was organized by Chess-Belfort and participated by 11 teams (originally 12 teams with a last minute withdrawal of 1 team) with Marseille-Chess, led by Germany’s #1 Arkadij Naiditsch(2698) and France’s #2 Etienne Bacrot(2695), as the defending champion of French Top 12 2011. 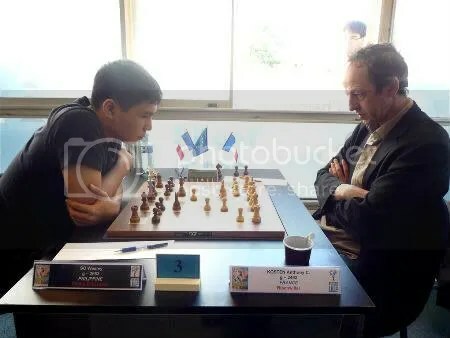 Other notable players who participated representing the other teams were Alexander Riazantsev 2714(Metz Fischer), David Navara 2706(Mulhouse Philidor), Le Quang Liem 2698(Evry Grand Roque), Anish Giri 2693(Chalons en Champagne), Tigran Gharamian 2672 (Deauville), Christian Bauer 2672 & Georg Meier 2637 (Vandoeuvre), Markus Lagger 2670(Bischwiller), Jean-Pierre Le Roux 2551 (Guingamp) and Europe based Joseph Sanchez PHI 2531 (Fat). Before the start of a round, the captain of a team delivers a list of the team members who are to take part in the round. 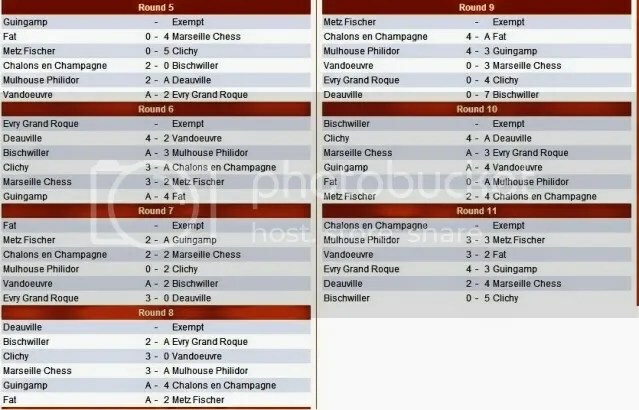 In each round, the team is made up of 8 players including at least one female (5 players must have French nationality). Each team is allowed to have imports or foreign players. 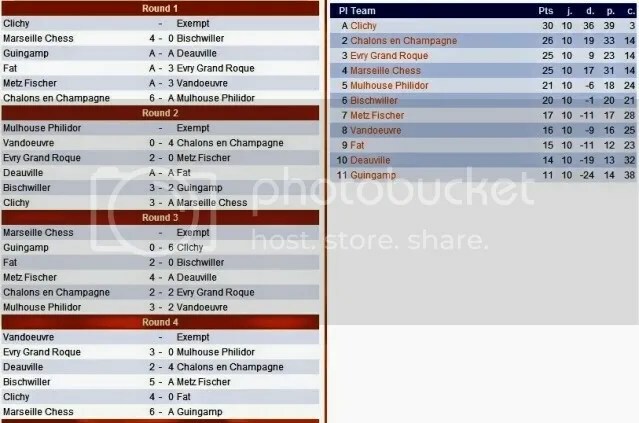 Board assignments could be in any order in each round based on respective team’s strategies except for board-8 that is reserve for female players. The tournament rules & regulations is something unique in team plays. 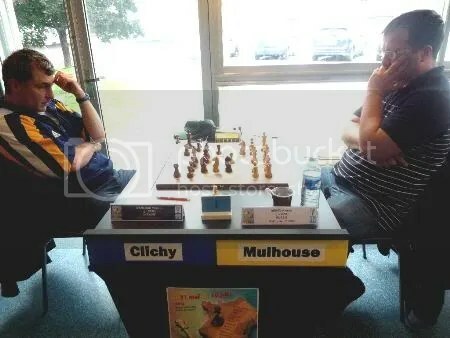 This was GM Wesley So first year to participate in the French Top 12 scoring a respectable 4Wins-5Draws-1Loss in 10 consecutive games he played. So’s lone loss was at the hands of Germany’s top player & Marseille-Chess #1 rated Arkadij Naiditsch(2698) in his first game, starting Round-2. 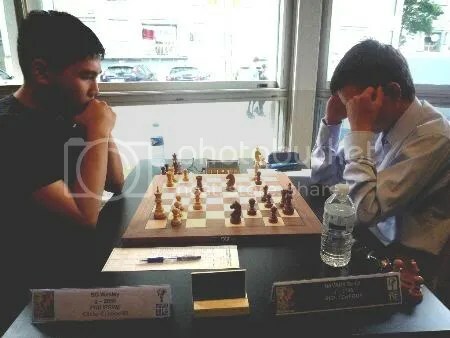 From thereon, he made his presence felt and was fielded the entire 10 rounds without sub and locked horns with the likes of GMs David Navara CZE(2706), Tigran Gharamian FRA(2672), GM Konstantin Landa RUS(2646), GM Michal Krasenkow POL(2604), GM KOSTEN Anthony C. FRA(2493) et al.